While Israel is at war, America, supposedly the ally of Israel, has halted a transfer of weapons. Have we halted sending funds to the terrorist government of Hamas in Palestine? Of course not. Any questions? -W.E. The Obama administration announced that it has halted a shipment of Hellfire aerial anti-armor missiles to Israel, the Wall Street Journal reported. A government official said that Israel has repeatedly requested the immediate transfer of much needed munition from the Pentagon but have failed to receive approval from the White House or the State Department. Citing government sources, the White House is purportedly concerned about Israel’s use of artillery along the Gaza border rather than the use of precision-guided munition in densely populated areas of the Strip. According to the report, White House officials were upset when they realized how little they were able to influence Israeli arms replenishment. The US government has repeatedly expressed its unhappiness of the damage done in Gaza. Upon launching Operation Protective Edge, Israel requested money from the US to purchase more Iron Dome batteries from the US Department of Defense. 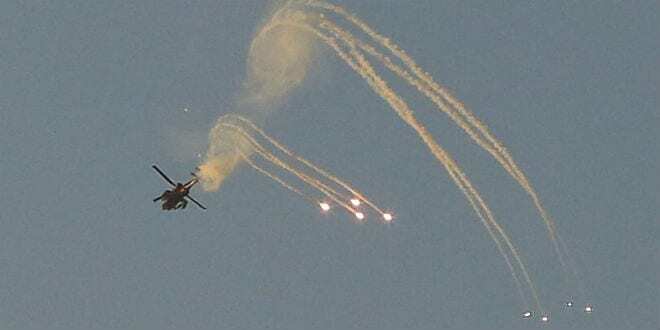 The Journal noted that while Israeli officials told their American counterparts they had enough interceptor missiles for the current Gaza campaign, they wanted to restock. The report said that with Israel’s consent and the Obama administrations urging, Israel took back its request for emergency funding and are now relying on a Congressional vote in the fall of a $225 million military aid package. According to the Journal, the White House had no problems supplying Israel with the Iron Dome interceptors, which are used for defensive, non-lethal purposes. However, in order to secure some $3 million worth of lethal munition, including 120-mm mortar shells and 40-mm illuminating rounds, Israel went through different channels. Israel’s Ministry of Defense requested directly from the US military the ammunition, which was approved without needing to go through the White House or State Department. With the latest instructions from the White House, every Israeli request for American arms must be reviewed individually rather than going through military-to-military channels. The news of Obama’s decision to halt weapons transfers to Israel comes on the heels of various reports of a deepening rift between Jerusalem and Washington. The Journal cited other Israeli officials as saying the Obama administration was “weak and naïve” and that Israel would turn to its close allies in Congress for support. Officials said that Israeli Prime Minister Benjamin Netanyahu is not worried and will “wait out” Obama’s term.